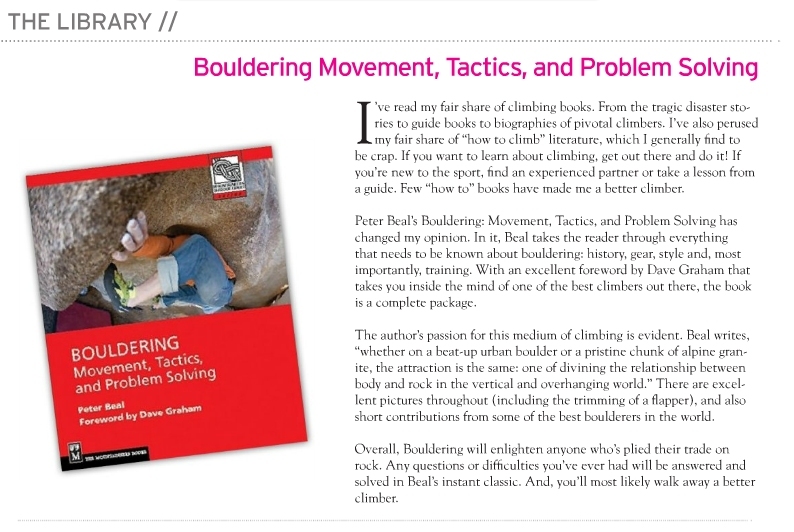 In a previous post, I wrote a little about the contents of my book on bouldering, letting readers know in advance what I was offering them. In this post, I want to explain a bit more in detail what kind of climber I see as benefiting the most from the book. When I first started climbing, there were hardly any climbers where I lived, meaning I relied upon books to guide me through the ideas and techniques of climbing. I sensed from early on that there was a gap between what I was actually doing and what the books were talking about, especially in the late 1970s when climbing meant rock climbing with ropes with all the expected emphasis on safety and proper use of gear. However I realized I was interested mostly in the problems of movement on rock, meaning I was a boulderer long before the sport had very much "respectability" or a separate identity. Until I saw a copy of Master of Rock by Pat Ament, there was very little writing on the subject and certainly not a how-to book. Because of this, I had to learn by trial and error, feeling my way through the learning process. I had to learn especially to ignore the preconceptions and misconceptions of my peers, especially the older ones, brought up in an ethos of risk and rebellion. What I sought was a deeper understanding of what was possible on rock, in terms of movement and technique. I wanted to explore this direction free of the baggage of the past with its distracting ethical debates and squabbles. This book is offered as a tool for anyone who wants to learn how to climb in an environment free of assumptions or expectations. I have striven to keep an unbiased attitude toward the achievements of past and present alike, only asking that the integrity of the natural world be honored as much as possible. 1. Make you stronger overnight: Throughout I emphasize instead the need for mastering technique instead of strength training. 2. Introduce you to secret climbing or training techniques that the "pros" use: The fact is that most climbing technique is elementary and foundational and the refinements of it only can be worked out in practice. 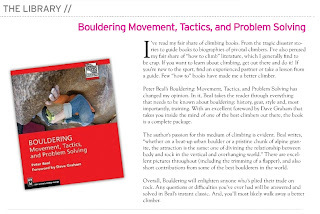 On the other hand, if you want a solid foundation that will serve you well for progressing safely and productively as a climber (not just a boulderer) who will climb for a lifetime, I think my book is the best resource you can begin with. I wrote it with precisely that goal in mind. 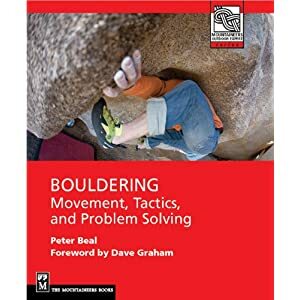 Because bouldering is such an amazing game, anyone who wants to try it should have the best experience possible, and I feel this book can help in that process.